England-born, Idaho-bred, California-trained, and Philadelphia-based. 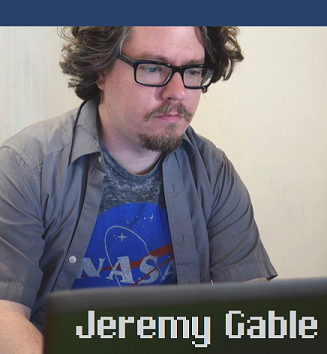 Jeremy is the Resident Playwright for feminist performance group Sam Tower + Ensemble, and was the former Artistic Director of the Hunger Artists Theatre Company in Orange County, California. His award-winning plays have been produced in Philadelphia, Los Angeles, Washington DC, and Beirut. He is also the creator of 140: A Twitter Performance and The 15th Line, the first full-length fully original plays to premiere on Twitter. He never went to school for anything, and is never not confused.